I am super-duper excited about this weekend. Why, you ask? Oh, well, let me fill y’all in. Mr. B and I are in town for the weekend. Cue the marching band! Would you believe me if I told you that we haven’t spent more than four connected days at home together since the beginning of May? I just threw up in my mouth a little. Mr. B informed me of this fact somewhere between running across the Denver airport and our flight to Chicago. Did I mention we were just trying to get to Kansas City for a wedding? It was a bonkers day of travel. We missed the wedding, but made it to the reception by the skin of our teeth. The next day, I told Mr. B that we needed to have a date night soon. He replied, “How about a date weekend!” My heart melted a little and I remembered why I married this fellow. So, this weekend we are having date weekend. Not sure what it will entail other than going out to our local spots for dinner. I am just excited to have zero plans! 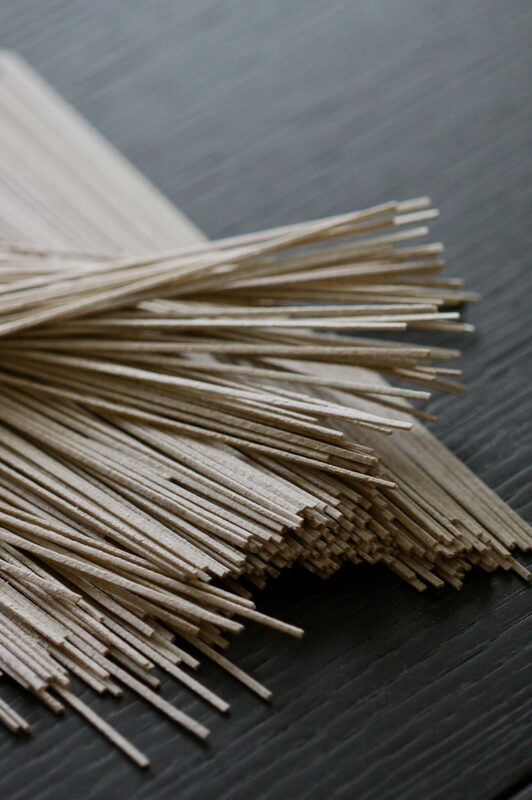 Okay, before I forget and jump straight into the weekend, let’s talk soba noodles for 2.2 seconds. Last weekend I searched high and low for soba noodles at the grocery store. Since I wasn’t close to a Whole Foods, the noodles weren’t in their traditional tofu/miso case. By chance, I looked in the pasta section, and BAM! They were sitting there waiting for me to purchase a box. First of all, I didn’t know you could buy non-refrigerated soba noddles. Second, I didn’t know buckwheat grain (the grain used to make soba noodles) was harvested three times a year in the spring, summer, and fall. You definitely need to use that factoid at your next cocktail party! This soba noodle dish can be served hot or chilled. 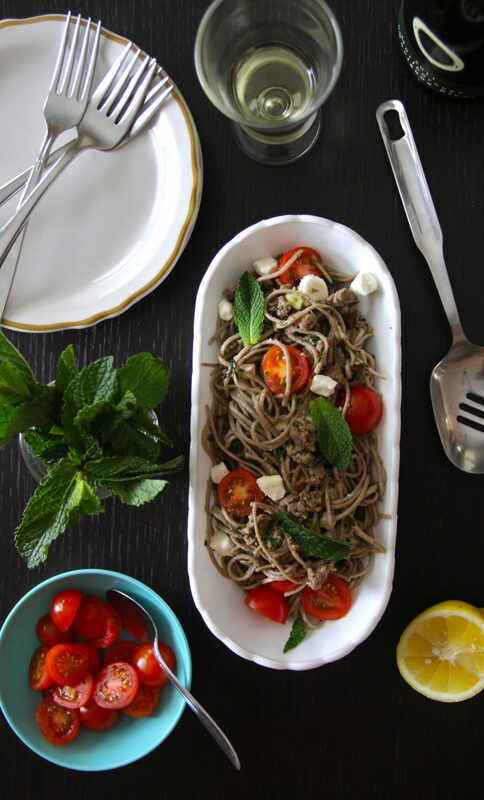 My favorite part is the mint pesto because it’s the soul mate of ground lamb. These two were made for each other. I added a few grape tomatoes for color and a some feta crumbles for that extra kick. This is hands down one of my new favorite recipes. Just remember, chop sticks are optional. Fill a large saucepan with water and bring to a boil. Add the soba noodles and cook for about 10 minutes until al dente. Drain noodles and place into a large bowl. Toss with mint pesto immediately. Meanwhile, preheat a skillet to medium-high heat. Cook ground lamb until no longer pink. 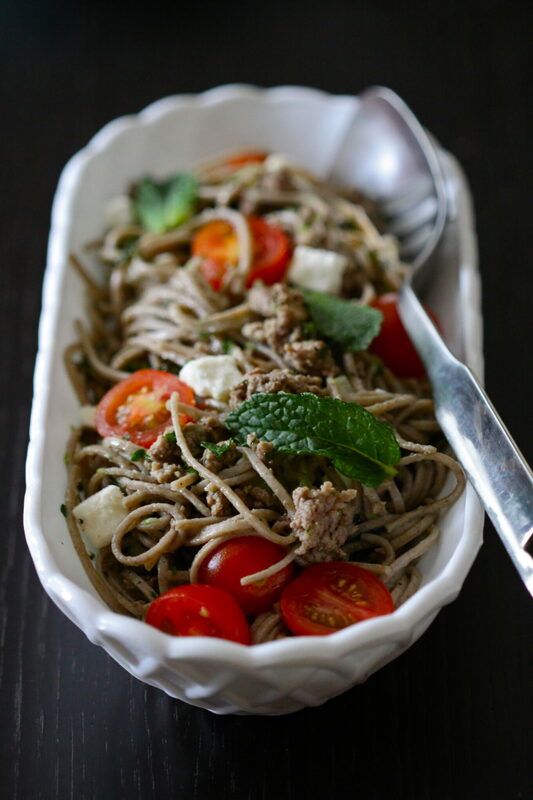 Add lamb to noodles along with tomatoes and feta. Toss to combine. Garnish with mint leaves. 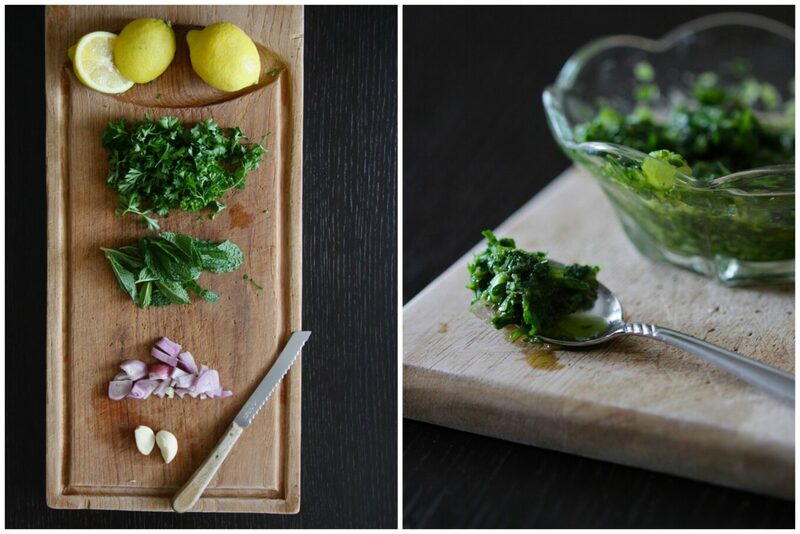 In a food processor, add parsley, mint, garlic cloves, shallots, and lemon zest. Pulse a few times. Add olive oil and pulse again. Pesto should be smooth. Season with salt and pepper to taste.